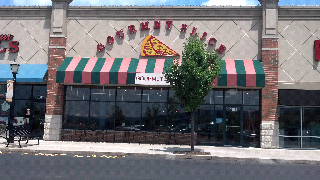 So I wanted to try a place I've never been for my next review, and I was up on Montage Mountain, so I decided to take a trip into the Gourmet Slice. I've driven by GS hundreds of times, but just never stopped in. Anyway, I didn't have time to order a fresh pie, so I opted to purchase a couple of their ready made slices. I'm on a plain pizza kick, so I ordered a slice of sicilian and a slice of New York style red. When I eyeballed the slices, I knew they weren't fresh out of the oven, so my expectations weren't too high. The bar of expectation was also lowered when the slices came out of the oven within 2 minutes of going in. The Sicialian featured a pretty standard, flavorless mozzerella cheese. It reminded me of Dominos cheap cheese which they used before they reformulated their pizza recently. I found the sauce to be pretty decent, slightly bitter and I noticed it left a bit of an aftertaste. The crust is among the thickest and fluffiest Sicilian crusts I've ever had, and certainly the signature of this pizza. A crust of this thickness sometimes tends to not cook all the way through but wasn't the case here. This fantastic crust featured a crispy bottom and was not chewy at all. Unfortunately, the slices was not reheated all the way and sauce was cold. Had the pizza been left in the oven longer, I felt it could have helped out a bit. The round NY style slice featured the same cheese and sauce as the Sicilian but the thinner pie allowed the cheese and sauce to cook more thoroughly and become more flavorful together. The sauce seemed less bitter, but there was nothing special that stuck out to me about the flavor or cheese or sauce. The crust was neither crispy or chewy, probably because the pie was at least an hour old and not reheating all the way didn't bring it back to life. Bottom line. 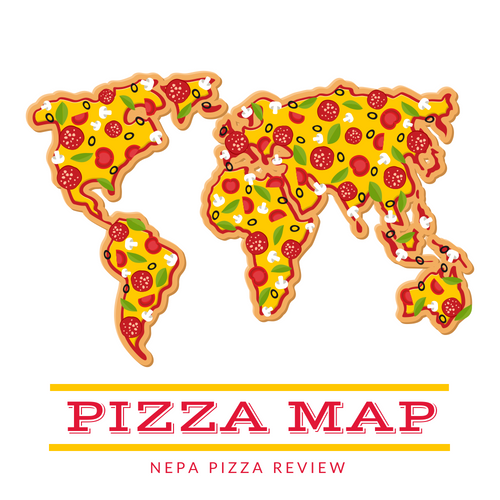 About the kind of pizza you would expect from a strip mall or food court. Serviceable for when u r shopping or on the go but certainly not a destination for a night out. I would be interested in trying the rest of their gourmet slices and other menu offerings, as they seemed quite solid. Plain and simple - mall pizza. Nothing to get excited about.